One of my favorite things about writing a blog, are the conversations in the comments and sidebars (private email conversation). I learn so much from those who have share their stories and advice. This week I had an amazing private email thread with someone who works as a development professional at a well-established nonprofit institution. I'll call him "Sam" (not his real name). Sam shared a story that illustrates the barriers that many nonprofit organizations face in adopting social media and harnessing its power leading to successful outcomes. Sam's story illustrates the pressing need for culture change within nonprofits or as colleague, Allison Fine, puts it "organizational silos prevent people from empowering their edge." Sam's story illustrates the tension between working as an organization versus in a networked way or working wikily. He allowed me to share his story if I stripped out all the identifying details. I am a nonprofit development professional. I'm comfortable using social networks and other social media sites, although I use them as an individual, I see great potential for my nonprofit organization's fundraising efforts. I asked about a SM policy when I started a new position in a nonprofit institution about seven months ago. I was told it was being formulated by the marketing department. The website and branding of this nonprofit institution is controlled by its marketing department (which oversees memberships and is often at odds with the development department, where my position is housed), and so this task fell to them. Still no policy, seven months later. Not long ago, I created a minor stir by advocating that our voluntary young professionals group (host of several fundraising events and a responsibility in my job description) immediately start using Facebook, including the step of inviting current institution members to join a Facebook group. I was asked by marketing to submit a full proposal to them about Facebook and get their approval before going forward and for anything I post to the group. The young professionals group revolted. They are now using Facebook on their own. They recently agreed to add me as an administrator for the group. This could have been avoided if we could just have the conversation across departments about our policy and approach to social network sites - from what we can do personally/individually to how we'll support, facilitate, or work with self-forming groups on social networks that want to support our institution. My offer to help kickstart, research and join the social networking policy development process at work (from a fundraiser perspective) was also rebuffed. Why is our institution stuck in silos and how can we transition out of this so we can effectively deploy a social networking strategy across boundaries of departments? Does this sound like you and your nonprofit organization? How do we change this and pave the way for effective social media use? Geoff Livingston has been writing about social media adoption from the perspective of corporations, government, and large nonprofits. In a post called "The Cultural Challenge to Integration," he makes a case that short-term experiments can't harness the power of social media unless there is full organizational engagement. He suggests an "organizational gut check" about organizational culture. In the end, organizational leaders need to bring the right people to the table and stop thinking about social media in a silo or as tool-driven decisions. He says it is up to the "c-suite" and whether they are ready to change from working as a silo organization and in a more networked way. Applied, social media can serve as an elixir, a means to ease the process of moving towards an extended corporate hive with empowered edges. A new structure of enterprise social media means empowering internal & external stakeholders with the ability to communicate (work) more fluidly across an extended architecture and share information. Social media is not meant to gut the organization or its purpose. Nor is it meant to build individual stars in an enterprise. Instead it should support achieving a better result across teams of people by helping the culture migrate to modern information usage. The end results could be more productivity, better customer relationships, financial rewards and revamped, better policies. Is there a process to vet online donor, member, or stakeholder feedback? Or does the program department not interact with communications? And why? Does the organization have processes that enable rapid adjustment strategies based on evolving conversations. Impressions and views are no longer viable measurements. Interactions that lead towards a goal are. How are people rewarded for communicating? Impressions or results? Does legal prevent communications from occurring? What’s the barometer? Is the protection worth it in the new environment? Is your nonprofit effecting culture change within to fully embrace social media? Is your social media strategy stopped in its tracks from silo culture? 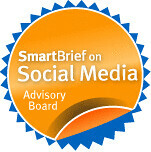 Could your organization's use of social media be more effective if your leadership and whole organization embraced it? Great post, Beth. I think, too, that the most effective uses of social media are likely multi-organizational and even multi-sector. If an organization is too siloed within its own walls to effectively embrace social media, it's highly unlikely that they'll be able to collaborate effectively with other organizations to create the most significant possible outcomes that social media empowers. Poor Sam, what can he do when his leadership isn't willing to do the "gut check" needed for change? When his leadership perhaps doesn't even see the need for change? The marketing department is apparently living in the stone age and wonders where this development guy gets off trying to tell them how to do their jobs. This is threatening to their territory and egos. He'll have to tread carefully. How does someone in Sam's position try to effect change when he's not in the position to make it happen? I've been there. It must be even more difficult when you're a fairly new employee. I'd love to hear how this tale proceeds, whether he's able to make headway. Wonderful post - thanks for pulling together your insights and Geoff's into a mini planning document. It makes me "sadly smile" when I hear stories like Sam's. It's one thing to plan strategically and quite another to not understand how quickly the environment is changing and opportunities are being missed. Great post, but silos are nothing new for orgs, whether it's social media, integrating donor strategies, combining orgs, etc. But, I love when organizations take an interest in their social media; you can see the light bulbs go off. Every org should hold quarterly brown bags to discuss how a social media strategy fits with their strategy, whether the tactics are for advocacy members, donors, board members, beneficiaries, etc. They will be surprised that there are enough communications, audiences, and feedback loops to make a consistent and productive communication schedule. Beth: Thanks for continuing this conversation. I think at heart is an organizational approach to nonprofits that they inherited from businesses. This process worked well for industrial age companies and less so for nonprofits. In the information age this structure is even more dysfunctional. I tried to get trackback to work for this post, but I would like to let you know that we have again, cited your blog in our annoucements section at UCPeople.org. 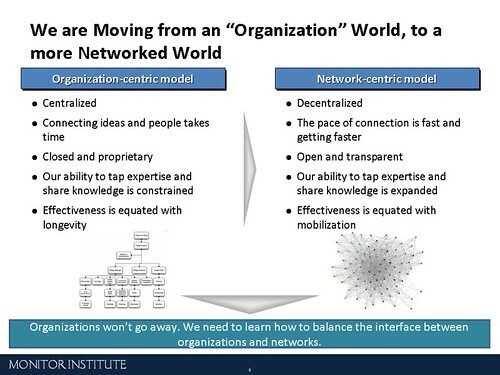 I see this happening in other aspects internally within organizations and within networked/affiliate organizations. For some the changes are coming too fast and they would prefer to protect the brand above all else or because, as is likely the case with many nonprofits staff are overworked as it is and see the opportunity of social network expansion as an added burden to core responsibility to the mission. Perhaps they see a lack of control over their message and giving it to the world with the full trust that the world will handle their message responsibly. (Again, this is no way a reflection of how my organization operates as we are currently on six social networks and purely my personal opinion). These are all valid concerns and it is a lack of trust that the public will manage their message in spreading it virally that, I believe is the true concern. For instance, any person can start a cause for any organization and act as though they are the organization in creating a cause on facebook. Do many organizations trust that to happen? In 9 out of 10 cases the person running the cause has the best of intentions and won't maliciously damage the brand that the organization is working to build, but there is the potential for the person to use the wrong language or could possibly take a side on an issue that the organization is against. All possible. With expanding into the Web 2.0 realm there is a trust that must come with it. Silos too can occur when a department or organization wants to claim credit for all of their work rather than "trust" the public to help raise money for them or awareness. This can also happen. Perhaps it is defending their market niche position in offering something that others aren't and to allow anyone to take that offering and make it their own, what do they have to fall back on? All questions likely to drive this behavior. Resistance to change could also be a factor. Opening up an organization to Web 2.0 technologies brings a re-education of how to interact, function and go about daily tasks that many are not willing to invest in, in deviating from their regular daily activities. From experience with UCP, it comes with incremental commitment. It is a psychological investment on behalf of management in building up a following. Start simple, start small. One social network, get a handle on that, prove that you are contacting people who would have never known you existed or raised money you ordinarily wouldn't have, built relationships with people who would do anything for your organization that wouldn't have been possible without hosting a cause on Facebook or MySpace page or Change.org profile. Just like public policy, it is built one inch at a time. Thanks for highlighting this issue, Beth. Maybe the more of us that talk about it, the more organizations will start to change. I'm also going to feature this topic in my next blog posting at www.nonprofitbridge.com. 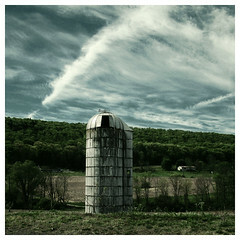 Hi Beth, the silos are very recognisable, but they go very deep into basic tensions between the fundraising and development sections of development organisations.. My question is whether social media can help overcome such tensions or should you work on them first before introducing certain social media?